Discover your private equity career path. Private equity (PE) is a common career progression for investment bankersInvestment Banking Career PathInvestment banking career guide - plan your IB career path. Learn about investment banking salaries, how to get hired, and what to do after a career in IB. The investment banking division (IBD) helps governments, corporations, and institutions raise capital and complete mergers and acquisitions (M&A). Analysts work 100 (IB). Analysts in IB often dream of “graduating” to the buy sideBuy-SideInstitutional asset managers, known as the Buy Side offer a wide range of jobs including private equity, portfolio management, research. Learn about the job, where they are many advantages but hours are still extremely long and require extensive financial modeling work. Roles in private equity are less client facing / sales oriented than investment banking, however senior principals at PE firms do a lot of fundraising, which can involve a lot of relationship management. Interview prep is critical for landing a job in PE. There are three main categories of questions in PE interviews: behavior, technical, and prior deal experience. For behavior and technical questions, please see our investment banking interview guideInvestment Banking Interview Questions & AnswersInvestment banking interview questions and answers. This real form was used by a bank to hire a new analyst or associate. IB interview insights & strategies. Questions are sorted into: bank and industry overview, employment history (resume), technical questions (finance, accounting, valuation), and behavioral (fit), which will bear a strong similarity to the types of questions you’ll be asked. When talking about your deal experience, you should mention them in a way similar to how you have them written on your resume. Start with a summary describing the main deal / overview, and then dive into two or three key issues or pieces of analysis that you played a big role in, and how they impacted the outcome of the deal. There are two main entry points into private equity: investment banking or an MBA program. Associates are typically recruited from top MBA programs. They may or may not have prior banking experience and usually spend two to three years before they may be promoted to VP or move on to something else. Associates are also frequently recruited from investment banks, where it is assumed that they hae done a lot of financial modeling and valuation. Analysts and associates typically try to move up and eventually become principals in the firm. Alternatively, after gaining valuable experience, some may leave to start their own firms or acquire operating businesses. Many ex-PE people own and operate small to mid-sized businesses. Below is a guideline of how much you can earn in PE. It should be noted that there can be a wide range based on the bank, the year, and the city you’re working in. Taking investment banking courses can be an invaluable way to learn what’s required on the job, before you get hired. It’s important to start with a solid understanding of accounting fundamentals. Next, you should have a solid Excel crash course under your belt, which will teach you the basics, including shortcuts, formulas, and functions. From there you can progress to financial modeling courses, which will be the basis of a day to day job in IB. By taking a few courses, you can learn about various industries and see different types of models. Thank your for reading CFI’s guide to a private equity career path. 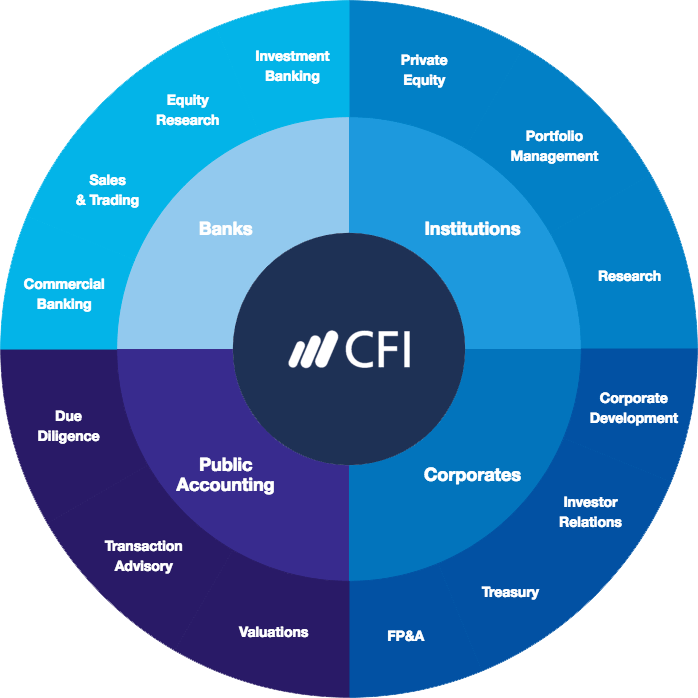 If you want to save money on your financial education, your best bet is CFI’s Full Access Bundle. Become a certified Financial Modeling and Valuation Analyst (FMVA)®FMVA™ CertificationThe Financial Modeling & Valueation Analyst (FMVA)™ accreditation is a global standard for financial analysts that covers finance, accounting, financial modeling, valuation, budgeting, forecasting, presentations, and strategy. by completing CFI’s online financial modeling classes and training program!